Who are Auto-Sleeper? 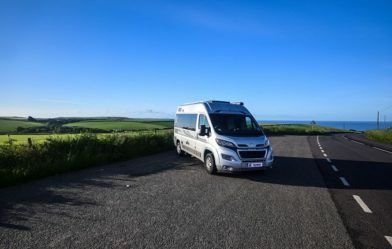 They are a long standing motorhome manufacturer from the Cotswolds, in the heart of the UK. In fact, they have been in business for over 54 years. Also, Auto-Sleeper have been award winning motorhome manufacturers, for some time. So, we are delighted to be an Auto-Sleeper dealer and we have a first to hand, as well. Yes, we were the first Auto-Sleeper dealer to have all the models on display in one showroom. Therefore, providing as much information, to help the customer find a great Auto-Sleeper motorhome and getting a good deal as well. Also, providing our full after sales services. We advertise and attend motorhome shows with our new and used Auto-Sleepers. Also, we promote on the Auto-Sleeper websites and other leading monthly magazine websites. Our latest development has been the introduction of (Derby motorhomes.com) a brand name change for developing our Auto-Sleeper online branding. This is an exciting development, that we have taken over from our parent company Motor Plus Derby Ltd. So, we are working on our online branding of Auto-Sleeper motorhomes, to help customers to understand what is on offer. Customers can come along and see all the layouts and test drive the motorhomes as well. In addition, now with extensive new Autosleeper models and innovative designs available for inspection. Auto-Sleeper has just become even more popular. Also, our showroom in Derby is over 26,000 square feet in size and heated as well. All the Auto-Sleeper motorhomes and van conversions are grade three winter tested. Also, they come with premium pack options, with additional ones on media and winter packs available. We have been Auto-Sleepers dealers for some 6 years now. Having set up the Auto-Sleeper exhibition centre in Derby, our Auto-Sleeper motorhome and van conversions sales continues to grow. “Motorhomes of Excellence” being an apt description, for these great UK made motorhomes. Today Auto-Sleeper are in the controlling ownership of the French group Trigano Group, who are one of Europe’s largest leisure products companies. 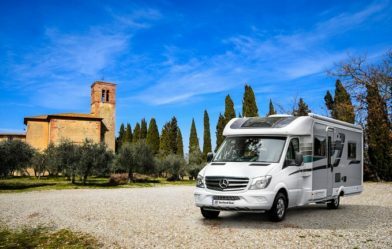 In addition, Trigano have a large number of motorhome brands such as Auto trail, Adria, Benimar, Chausson, Challenger to name but a few. Motorhome manufacturers like Auto-Sleepers rely on relationships with chassis providers. Many chassis providers are large companies who make cars. Mercedes Benz, Peugeot, Fiat and specialist chassis makers like AL KO. All used in the manufacturing of Auto-Sleeper motorhomes of excellence. Peugeot, Mercedes Benz, Fiat and AL KO have vast networks of dealers. In fact, both Peugeot, Fiat and Mercedes Benz lead in the support and maintenance of their brands. Along with manufacturing great chassis cabs and motorhome designs. So, with the development of Auto-Sleeper using AL KO chassis on some models, the Auto-Sleeper continues to have an undoubted pedigree. In fact, Auto-Sleepers introduced an AL KO range under the model name of the Corinium. A new relationship dawned and that is not for the first time, Auto-Sleeper have become very innovative in motorhome designs. Lightweight chassis with upgrade options are part of the options available. The Auto-Sleeper Corinium range is built on the AL KO lightweight chassis. There is also an option to upgrade on the chassis as well. The key to using the AL KO foundations is a 2.35 mm body width, a width, that many say is ideal for the ultimate touring experience. In fact, the 3500 kg MTPLM AL KO wide track chassis, has an optional 4000 kg chassis upgrade. From van conversions to luxury coach built motorhomes, Auto-Sleeper often leads, where others can only follow. The introduction of the AL KO chassis, takes Auto-Sleeper to even higher levels of luxury. Successful in winning prestigious awards and selling well. There is a growing demand for van conversions and Auto- Sleeper has been at the forefront of developing them. With truly outstanding designs, the innovative styling stands out. Developing conversion of the Peugeot Boxer van with a Fiat option. This has been a proven worthy option, with an excellent featured cab and a great van. with space to convert within. Also, introducing the Fiat comfort matic cab. as an alternative to a manual transmission. From the latest extra long wheel based Auto-Sleeper Warwick XL and the delightful Auto-Sleeper Kemerton XL. Right through to the award winning short wheelbase Auto-Sleeper Symbol. the baby of the range. Symbol being a leading name used over many years in the development of van conversions. by Auto Sleeper. Auto-Sleeper have been working with Peugeot as long ago as the 1980’s. Back then the Talbot Express chassis and panel vans were the base vehicles of choice. Talbot being an old established English car brand, that was taken over by Peugeot. French flair in design. In fact, today Peugeot are providing both the coach built chassis and the Boxer van range. Both are available for conversions on chassis cabs and panel vans, into leisure vehicles. Broadway and Nuevo range. All are spaciousness, have good drive ability and comfort. Therefore, with innovative features to make customers leisure time and touring even more enjoyable. 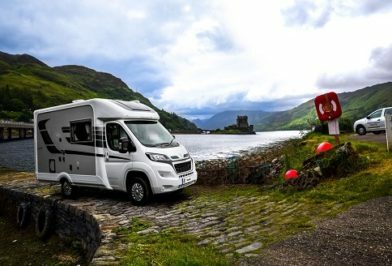 The popular coachbuilt range that encompasses the Broadway and the Nuevo range, all have become award winning motorhomes, at some stages. 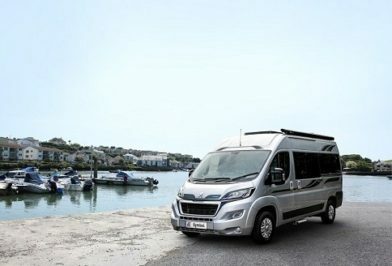 They continue to be in demand and are a very recognisable and an accomplished motorhomes. As one of Europe’s largest brands Mercedes Benz was the first name in motoring over a century ago. Mercedes Benz has a commitment to high engineering standards and safety. This means that outstanding driving characteristics provide total peace of mind. With the vast back up of Mercedes Benz dealers, they have over 3,000 dealers throughout Europe. Exceptional service support. With the full Mercedes Benz electrics package that covers ESP with active skid control and ABS braking with EBD. Driving along you probably have one of the safest motorhome chassis available today. Mercedes Benz Option Packs. The Auto-Sleeper luxury Mercedes Benz range has an extensive premium pack, inducing a winter pack. Also, with Media entertainment packs. Thus, allowing you to enjoy your leisure time to the full. Auto-Sleeper craftsmanship and Mercedes-Benz engineering are an unbeatable combination. The luxury Auto-Sleeper Mercedes Benz range, has proven to be exceptionally popular. Using craftsmen combining practicality with internal and external design innovations. Therefore, combining all the skills and placing the designs for the latest Auto-Sleepers range. Auto-Sleepers has over 54 years experience in meeting the needs of customers. Picking up top prestigious awards along the way. 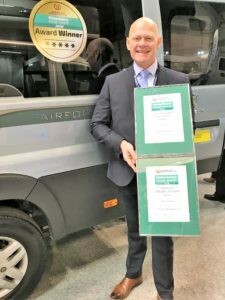 The latest awards for the ever popular Auto-Sleeper Broadway EB, scooped the winning prize for the coach built from £51,000 to £65,000 category. The Auto-Sleeper Corinium RB, took the top spot in the coach built over £65,000 category. After an amazing introduction to the Peugeot coachbuilt AL KO chassis range, the Corinium is setting even higher standards in motorhome manufacturing. The factory is at Willersey in the Cotswolds, and Autosleeper take great pride the hand craftsmanship and design expertise. The furniture, fittings are all of the highest quality, modern, stylish with quality and innovation. In fact, the designers use and live with the products and motorhomes. Therefore, they know from experience, what works, utilising every cubic centimetre of interior space. Being safe in your vehicle is paramount. All Auto-Sleepers models have obtained EC Whole Vehicle Type Approval. 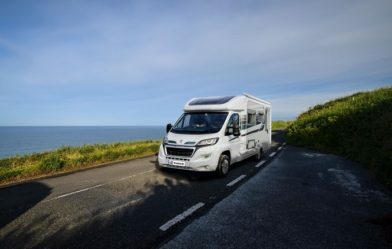 All of the Auto-Sleeper models comply with British and European safety standards, as independently verified by the National Caravan Council (NCC) and VCA. Also, for customers who require an automatic gearbox, we have an option to buy the Fiat Ducato. With the 150 bhp engine and the Comfort-matic gearbox, are available at an optional extra cost. The option to take the Fiat cab, is also about having the Fiat styling. 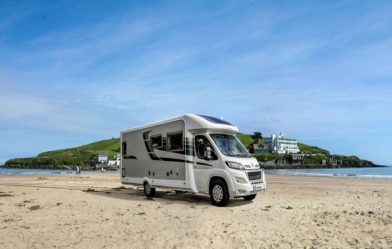 So, as the Fiat Ducato is the top selling motorhome conversion, being an ideal leisure vehicle platform, that speaks volumes, to any potential buyer. You get those Italian stylish looks and the comfort matic comes into its own, when in city traffic. It just glides along and is so easy to drive. Many Auto-Sleeper dealers are Fiat professional approved. In addition, Fiat has a vast network of dealers, all to support in servicing and maintenance. We will be more than happy to help you find out more about Auto-Sleepers. We are always looking for good used Auto-Sleeper motorhomes, if you have one to sell let us know.